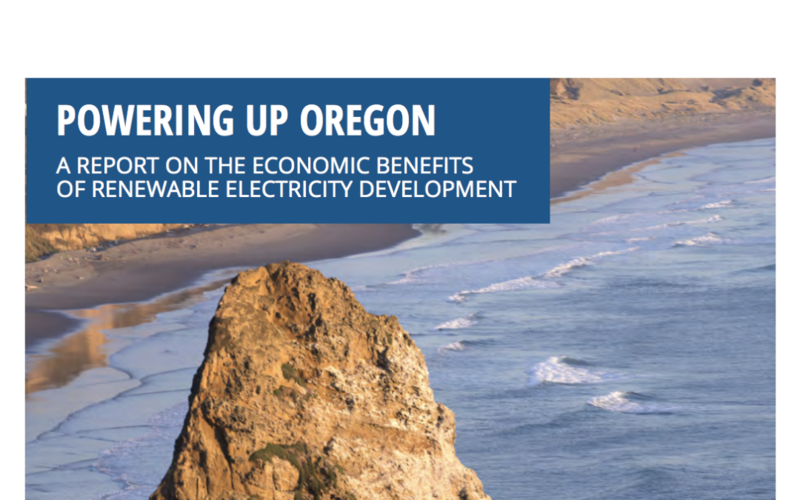 DGA, in continued collaboration with the A Renewable America campaign, released two new reports highlighting the huge positive economic impact of renewable electricity development in Oregon and Washington State. DGA’s analysis shows the positive impact to Oregon and Washington in terms of job creation, wages and benefits, tax revenue and land leasing revenue. In addition to the economic impact analysis, both reports feature renewable energy success stories, highlighting how renewable electricity is already providing clean, reliable, and affordable power. Our analysis finds that both states can not only exceed the EPA’s proposed Clean Power Plan, but generate almost 100 percent of the electricity needs entirely from renewable sources. Click here to read the Oregon report and here for the Oregon Public Broadcasting news piece. Click here to read the Washington report.